Operating on assignment in conflict zones requires deep research, extensive planning and trusted colleagues on the ground. 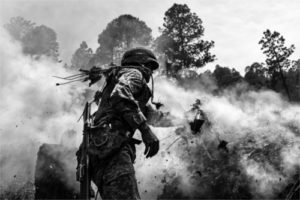 Those were some of the key tips highlighted at a panel with two veteran photojournalists on Sept. 13, a program co-sponsored by the OPC, the Columbia Graduate School of Journalism and the Professional Prizes department. Meridith Kohut, an American based in Caracas, Venezuela since 2007, told the crowd of j-school students and OPC guests that minimizing risk requires rigorous preparation. “it’s always better to prevent than to have to respond to security problems,” she said. In Latin America, those precautions might include getting permission from gangs or organized crime groups or “whoever’s in control of the territory we’re in. That’s a thing I’m very strict about, because I had problems when I was younger,” Kohut said. 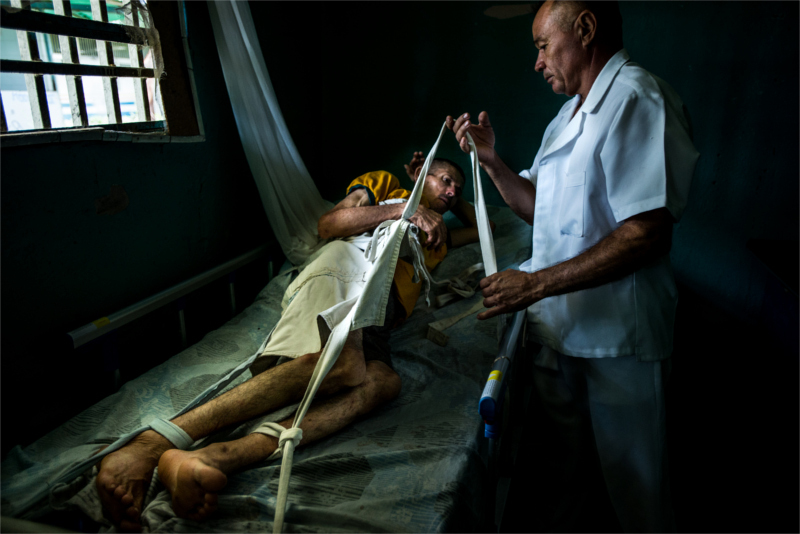 Kohut won the OPC’s Feature Photography Award this spring for her work in The New York Times showing the plight of people inside state-run psychiatric hospitals in 2016. The Times requires her to file detailed security plans and coordination with security experts on staff before she goes into a dangerous area, she said. While on assignment, editors keep track of her whereabouts constantly. “It’s like working for your parents,” joked Michael Robinson Chavez, a staff photographer for The Washington Post. Chavez has worked throughout Latin America, starting his career with The Associated Press and covering assignments in over 60 countries, most recently reporting ongoing violence in Mexico. Chavez is a two-time winner of the Robert F. Kennedy Award for photojournalism and has covered global conflicts for the Post, the Los Angeles Times, The Boston Globe and AP, including the Iraq War and the 2006 Israel-Lebanon War. Moderating was Judith Matloff, a veteran foreign correspondent who now teaches conflict reporting at Columbia. She asked the panelists how they ensure the people they’re working with locally are trustworthy and take risks seriously. Chavez said he works with veteran news photographers with proven track records, and spends enough time with fixers, translators or drivers beforehand to get a sense of their capabilities before they’re hired. “If you’re on a really tight budget, the recommendation I’ll give you is go to the nearest university, any learning institution, and find an English language program, and usually you have a bilingual student there that would be willing to help you out,” he said. Kohut underscored the need to be prepared for a range of problems, and to not limit your awareness of risk only to possibilities like kidnapping or a direct attack. “You’re most at risk by not having a secure car,” she said. “Like your car breaking down in the middle of a highway and then not having enough water.” Kohut added that she brings enough supplies on a road trip to survive if the car breaks down on the side of the road for two days. Food, water filters, extra fuel and spare tires can be more important than a flak jacket and helmet, she said. 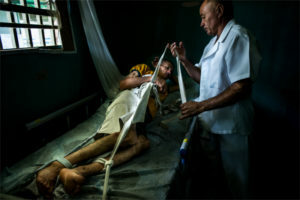 In connection with the program, photographs by Kohut and Chavez will be on display in the Columbia University School of Journalism throughout the fall semester.